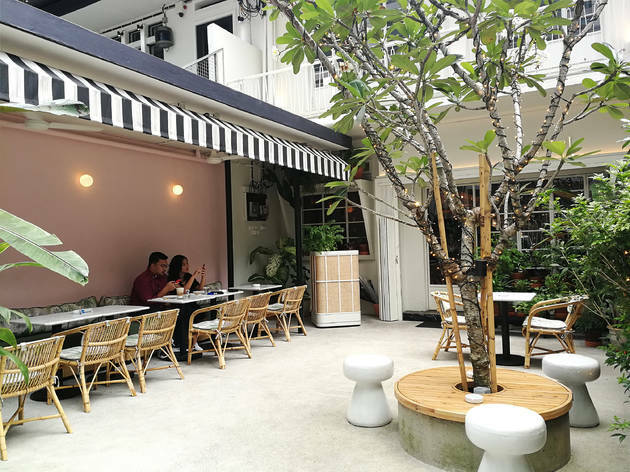 After 21 years in business, the folks behind Alexis have unveiled Isabel, a sister restaurant that’s no less ambitious in wowing its way into KL’s dining scene. 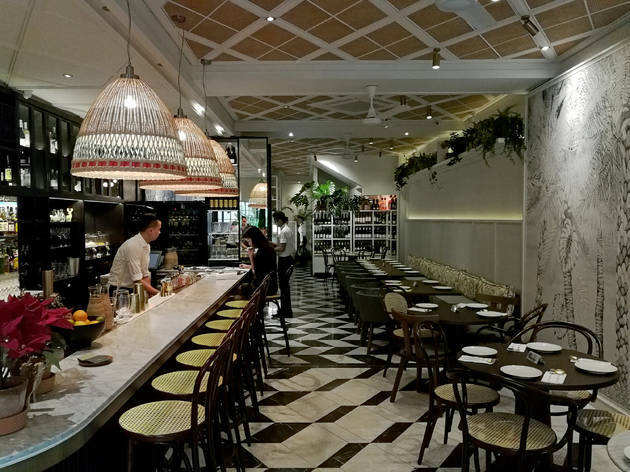 But unlike its elder sibling which offers a mixed menu of Asian and Western dishes and desserts – its Sarawak laksa is equally popular as its pavlova – Isabel proudly forges its own path with a decisively Southeast Asian menu that doesn’t shy away from a touch of class or flair. 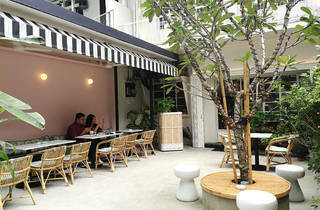 Located along Jalan Mesui among well-established neighbours such as No Black Tie, Pisco Bar and Table 23, Isabel manages to stand out with its Parisian café-meets-post-colonial era décor – think white marble-top bar and tables, mosaic floors, stylish awnings and an LED-lit tree at night. Its classy surrounds make Isabel a calming little getaway during the day, and a charmingly romantic spot at night. 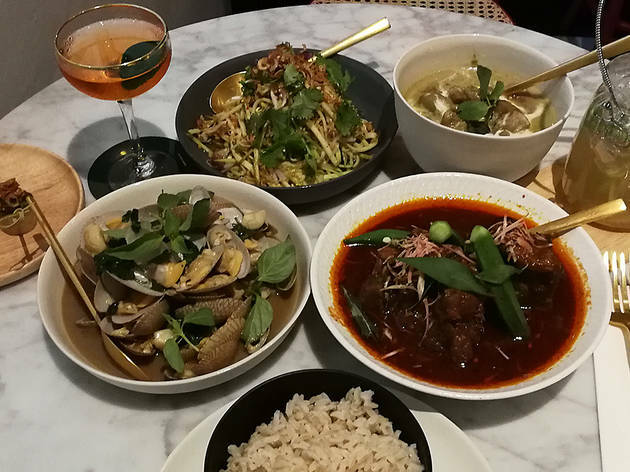 In keeping with Southeast Asian dining culture, all savoury items here come in sharing portions and you can add a bowl of brown or jasmine rice to go with your dishes. 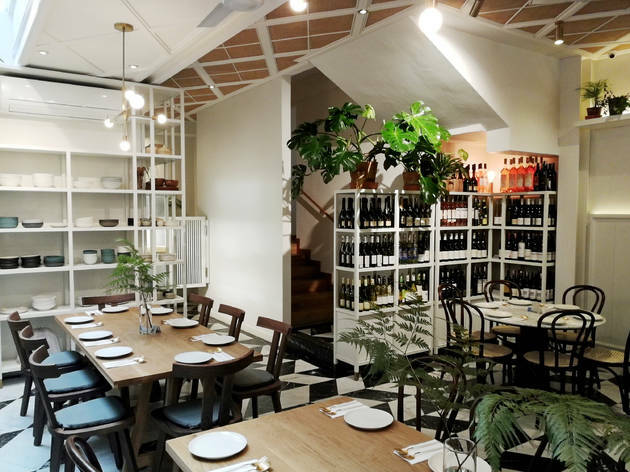 Isabel offers lunch (12noon-2pm) and dinner (from 6pm) menus that are mostly similar with a selection of dishes to share. 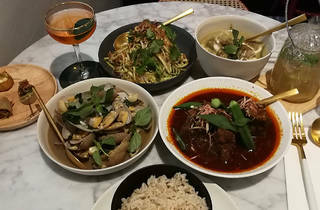 On the lunch menu are an additional four single-serve choices like Vietnamese chicken rice, Thai rice with fish and wild ginger sauce and more; at night, the dinner menu comprises completely of sharing items and offers more dishes for its small and big plate selections. We suggest starting off your meal with mango kerabu – a refreshing salad made with green mangoes, bean sprouts, fried anchovies, lemongrass and roasted shallots. If you prefer seafood, go for the stir-fried lala – the dish is a fry-up of local lala, kemangi leaves (lemon basil) and garlic; simple but tasty (have this without rice). Moving on to the big plates, we say skip the Thai-style chicken curry and go for the oxtail assam pedas – Australian grain-fed Charolais oxtail in Minangkabau-style assam pedas gravy. Priced at RM54 per serving, this dish is one of the more expensive options on the menu but it’s well worth it – think spicy, sour and sweet pieces of tender oxtail that have a subtle smokiness. Tip: Have this with brown rice to cut through its richness. 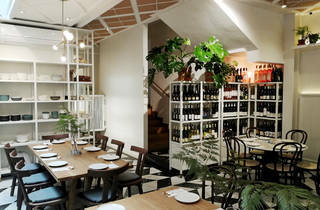 Over on the drinks menu, you’ll find an extensive range of wines, champagne, cocktails, coffee and tea. A highlight item here is the signature Isabel cocktail – Tanqueray 10 gin with elderflower, Aperol and orange bitters. 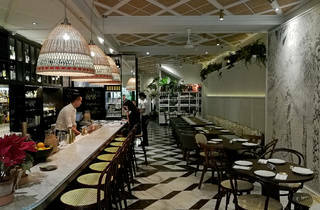 The drink is sweet with a hint of bitterness and pairs well with the dishes’ wide range of flavours. Because tables are limited, it’s recommended to make reservations a few days in advance.